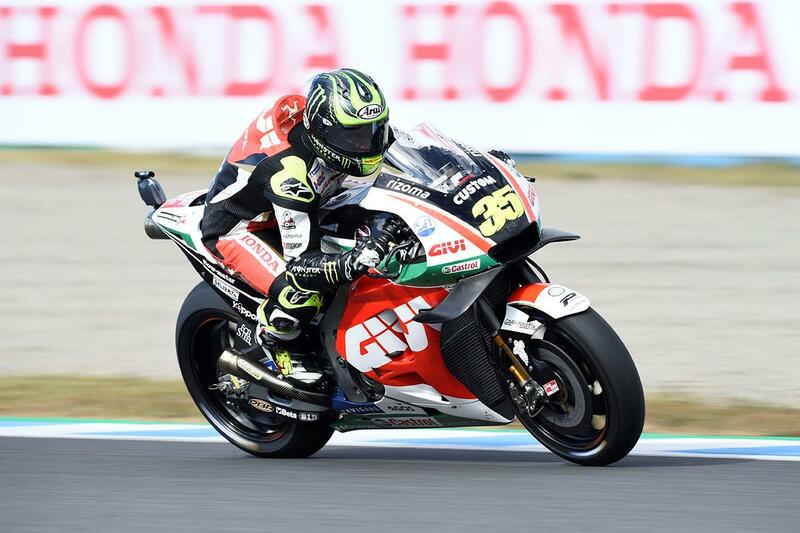 Crutchlow takes second place in Japan! Britain’s Cal Crutchlow secured his third podium and seventh top five of the 2018 season with a strong second place in Sunday’s Japanese Grand Prix. The LCR Honda rider was in the mix for the win in the early laps after passing Repsol Honda man Marc Marquez and pressuring Ducati’s Andrea Dovizioso for the lead. Unable to match the pace of Marquez and Dovizioso in the second half of the race, Crutchlow looked on for a comfortable third place, but had to respond to a late attack from inform Spaniard Alex Rins riding the Suzuki. Crutchlow was able to keep Rins at bay and was promoted to second position following Dovizioso’ penultimate lap crash making it a 1-2 for Honda at their home circuit. Crutchlow said: "Everyone saw it was a good battle today. The problem we had was that Dovi kept slowing down the pace so it allowed the people behind to catch up, but I think we did a great job managing the situation. "I was struggling a little bit on the left hand side with the rear grip so I was trying to save the tyre for the end of the race and keep Rins at bay, that’s all I needed to do. Then Dovi crashed and I took second place so in the end I was very pleased. "At the moment we’re riding very, very well, we’ve had some good results lately and now we head to Phillip Island in good spirits. Of course congratulations to Marc for winning the world title: he made an incredible season."